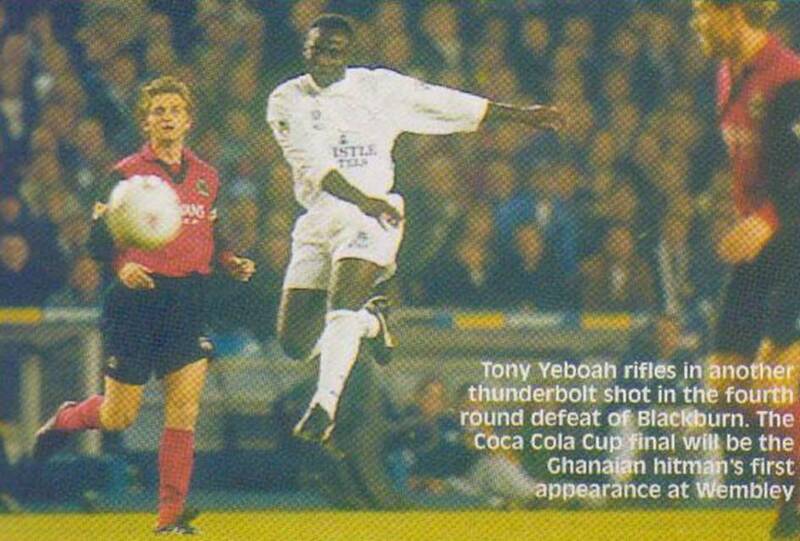 Date: Wednesday, 29th November 1995. 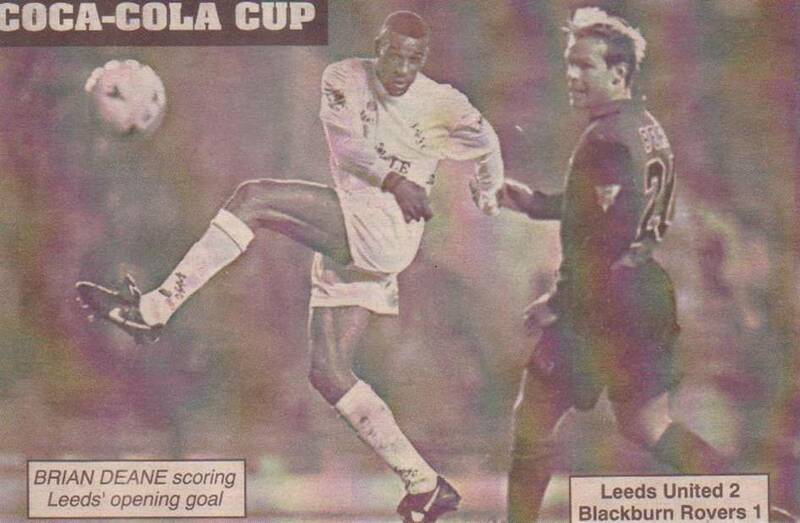 Competition: League Cup Fourth Round. 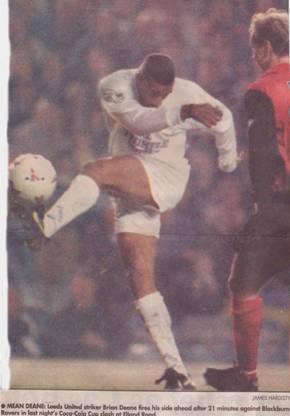 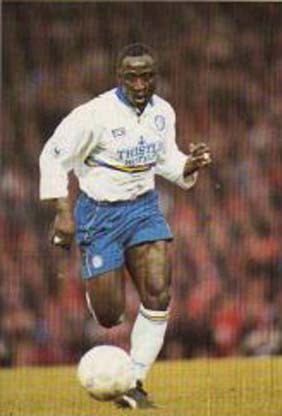 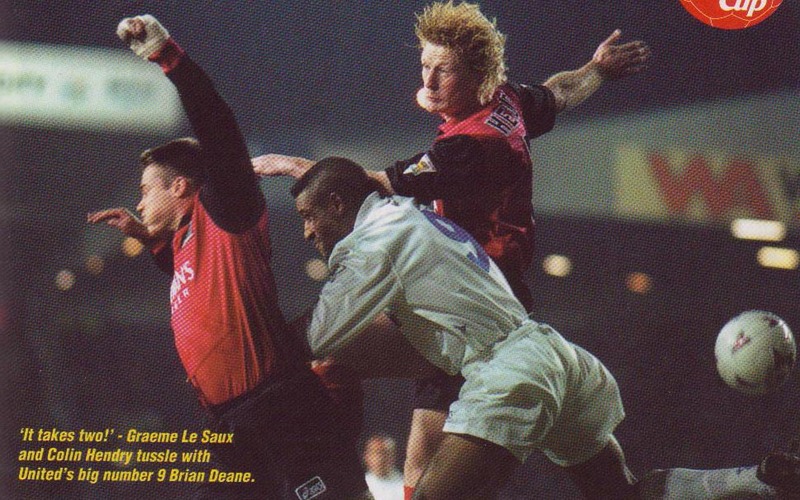 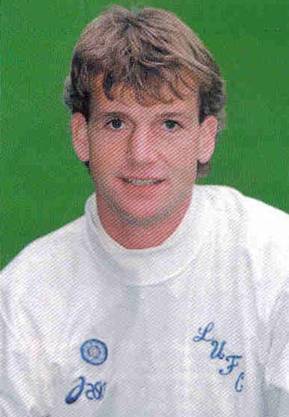 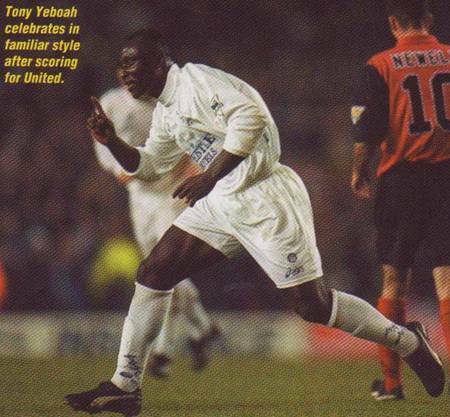 Scorers: Leeds United: Deane, Yeboah. 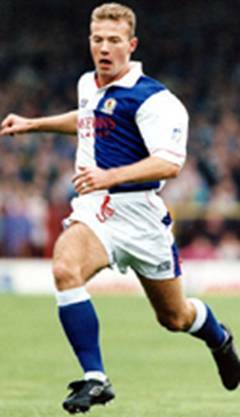 Blackburn Rovers: Kelly (o.g.). 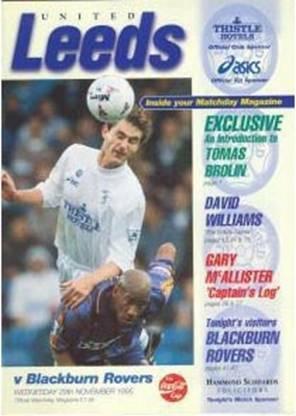 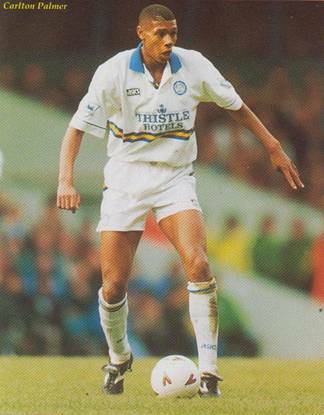 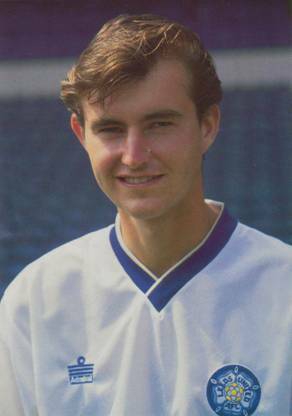 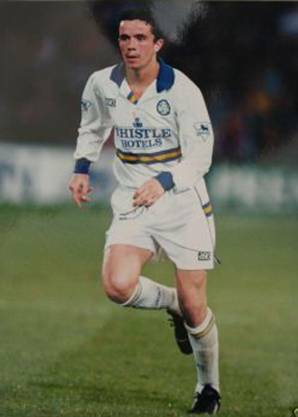 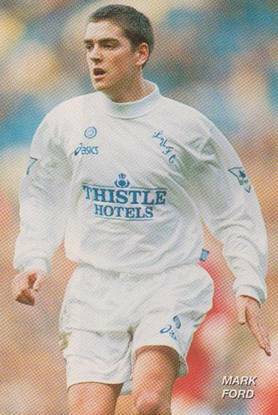 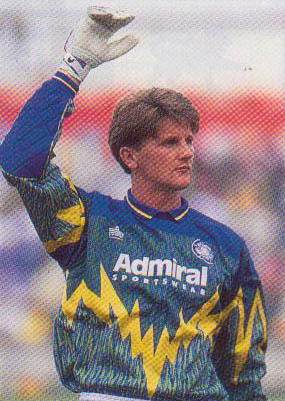 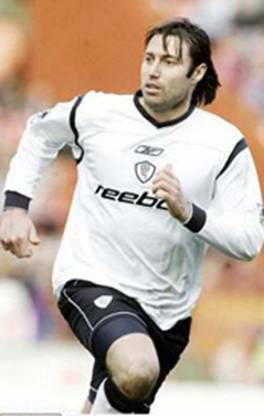 Leeds United: Lukic; Kelly, Dorigo; Palmer, Ford, Wetherall; Brolin (Whelan), Deane, Yeboah (Wallace), McAllister, Speed (Bowman). 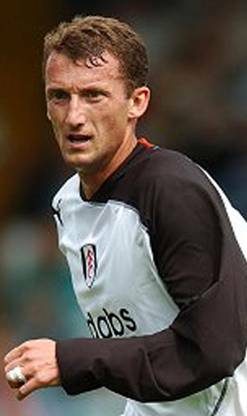 Unused Sub: Beeney. 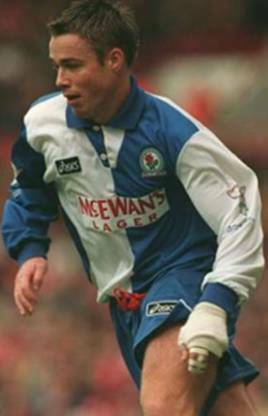 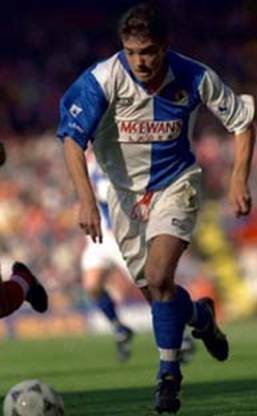 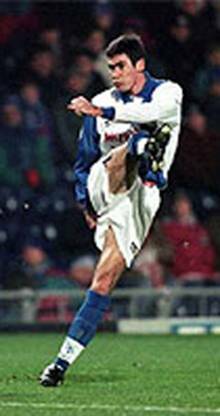 Blackburn Rovers: Flowers; Kenna, Hendry, Berg, Le Saux; Ripley, Sherwood, Batty, McKinley (Warhurst); Shearer, Newell (Sutton). 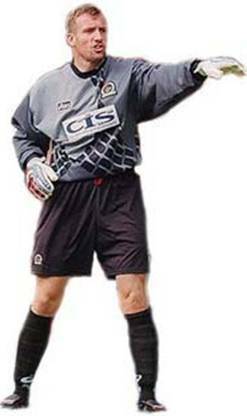 Unused Sub: Mimms. 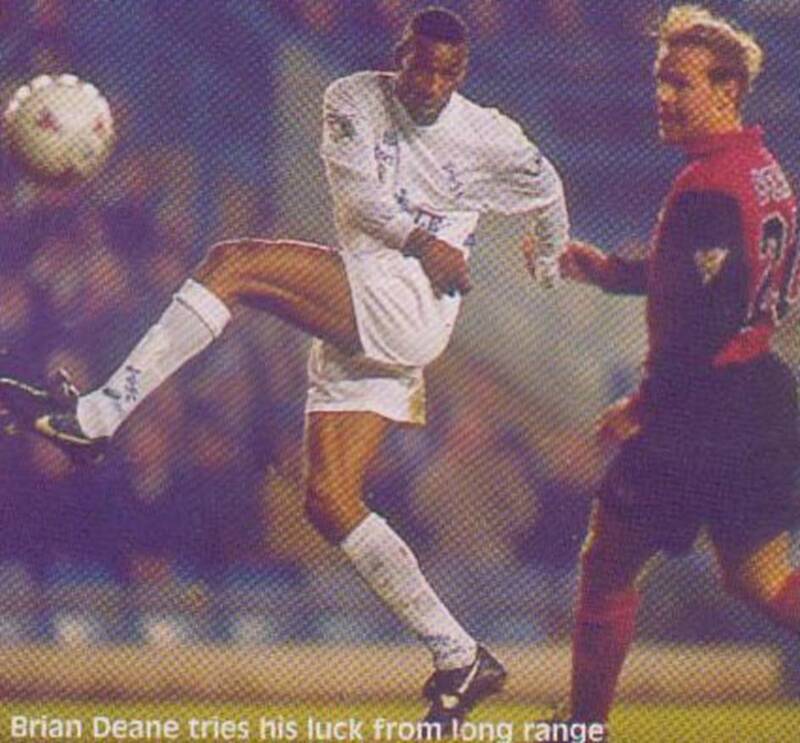 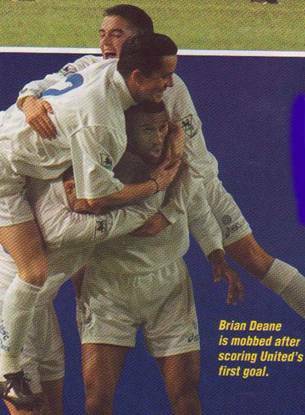 Brian Deane knocked in his third goal in four games to put United on the road to victory against the EPL champions and at the same time he gave the perfect answer to those who saw him taking a back-seat once United were at full-strength and Swedish star Tomas Brolin had settled in. 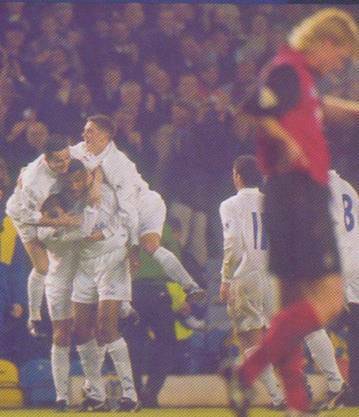 Deane struck with a delightful left foot shot from an acute angle, when David Wetherall headed back a Gary Kelly cross after twenty-two minutes and it was no more than the attack-minded United deserved. 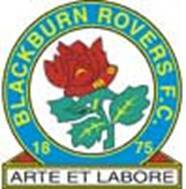 A Gary Kelly own goal after fifty minutes gave Rovers hope, but United were worthy winners. 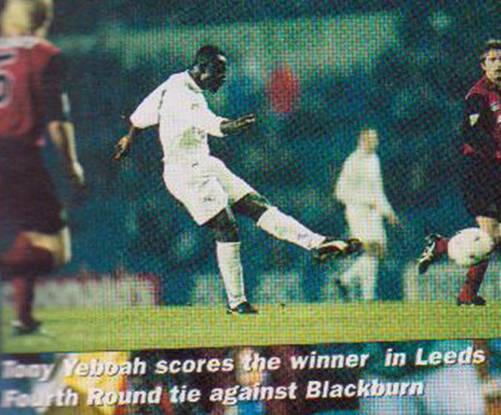 Rovers were two down after twenty-nine minutes when Tony Yeboah scored with one of his powerhouse specials from twenty-five yards. 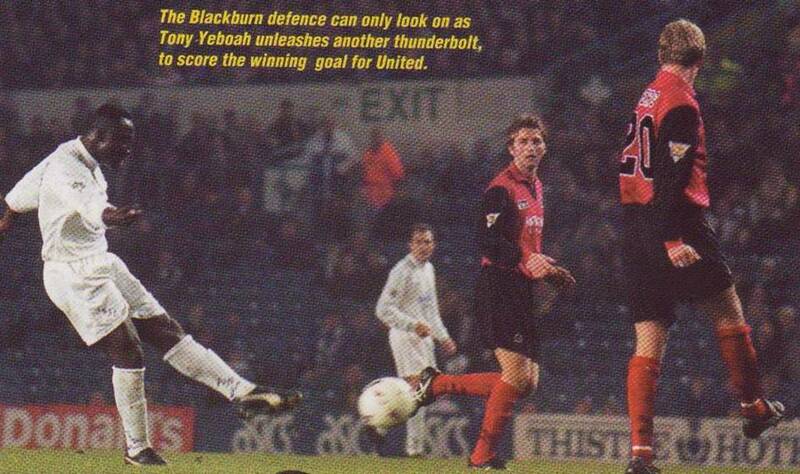 Mike Newell had given him a sloppy and misdirected pass and Yeboah quickly whizzed the ball into the back of the net leaving Tim Flowers in the Blackburn goal startled and helpless to send his many admirers into raptures. 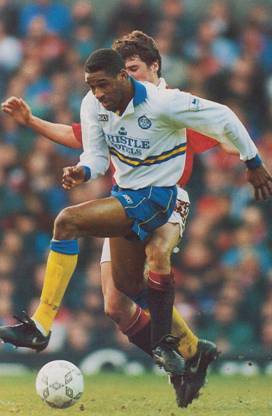 There was a brilliant run on debut for Swedish international after coming through a substitute appearance at Newcastle the previous Saturday and it said much for his display on this night that when he came off after eighty minutes he did so to generous applause from the crowd who appreciated his ‘Man-of-the-Match’ performance even though obviously still not fully fit. 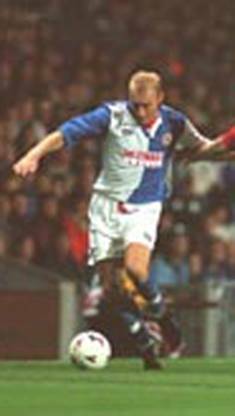 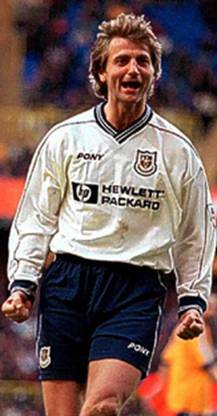 United played some admirable attacking football and saw David Wetherall and Carlton Palmer, in place of the cup-tied Richard Jobson, firmly in control of the much vaunted Rovers attack of Alan Shearer, Mike Newell and later Chris Sutton. 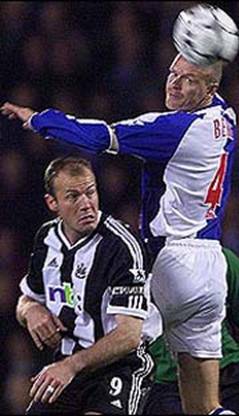 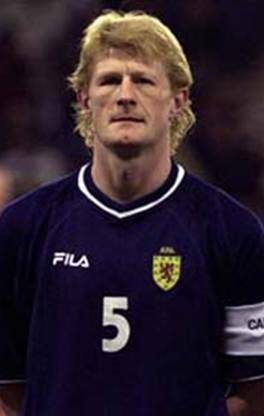 Shearer was unable to add to his goal record of eight goals in his last six matches against United. 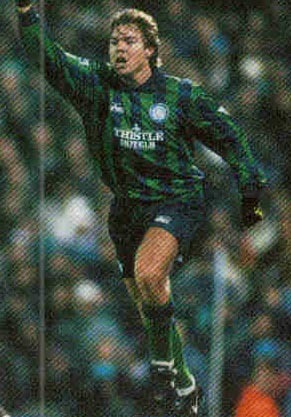 Gary Kelly did his best to undermine the defensive control and confidence as he inexplicably dived to head into the net past keeper John Lukic when attempting to clear a Stuart Ripley cross. 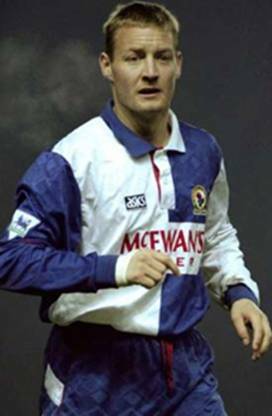 Although Rovers spent a lot of the second half on the attack, they couldn’t breach the United defence again and John Lukic made a stunning save from a bullet header from Colin Hendry from Stuart Ripley’s seventy-fifth minute corner.